A towering figure in the Pop-Art movement, Andy Warhol continues to make an impact on the artistic world despite his untimely death in the 80s. He remains one of the most celebrated US artists to date. Born in Pittsburgh, Pennsylvania in 1928 as Andrew Varhola, the artist-to-be studied at the Carnegie Institute of Technology before moving to New York in 1949. It was here that he changed his name to Warhol and began to experiment with artistic reproductions of American popular culture. Newspaper headlines, advertisements and mass-produced images were all given the Warhol treatment. In 1962, the series portraits of Marilyn Monroe, for which he is arguably most famous, began to take shape. 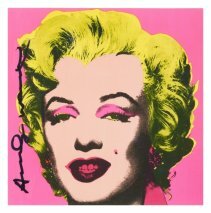 Elvis Presley and Jackie Kennedy are among other celebrities who Warhol turned his artistic attentions to. The same year saw him take part in the New Realists exhibition in New York, the first significant survey of Pop Art, and in 1963, Warhol began to make experimental films. His studio, known as the Factory, fast transformed into a famous gathering place for artists, celebrities and intellectuals. The internationally renowned artist continued to explore the relationship between celebrity and art up until he died unexpectedly from a gall bladder operation in 1987. However, his work lives on, and the Andy Warhol Museum, located in his native city Pittsburgh, is the largest museum in the US dedicated to a single artist. At time of writing, the highest price ever paid for one of his paintings is US$100 million for a 1963 canvas titled Eight Elvises. © If artwork shown on ArtFair is already sold or unavailable for immediate sale, we'll do our utmost to source a similar edition for you. ArtFair is a trading name of LeadFair Ltd. Co. Reg. Number 08565869. Reg. Address: Swift House, 18 Hoffmans Way, Chelmsford, Essex. CM1 1GU. Registered in England and Wales. VAT Reg. No. 169725662. Registered with the Information Commissioner's Office: Data Protection Reg. No. ZA025012. Artwork prices can go up or down. ArtFair offers fine art, contemporary art, urban art, pop art, and modern art through our own collection and our global network of art gallery partners, art dealers and private collections. 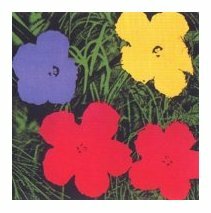 Keywords: Andt Warhol Art For Sale, Flowers 73.